Heat Pump Tumble Dryers - Which? Condenser dryers with heat pump technology are becoming more popular and can slash your energy bills. But is a heat pump dryer right for your home? A heat pump tumble dryer is one of four different types of tumble dryer currently available, the other three being vented, condenser and gas. Heat pump tumble dryers work by reheating the air that’s circulating within your tumble dryer. By pumping heat back through the drum, heat pump tumble dryers can slash your energy bills by more than half. But they generally cost more to buy than other tumble dryers. 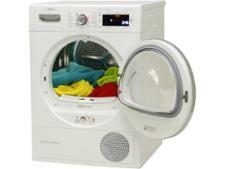 Go to our heat pump tumble dryer reviews. What's the difference between a condenser and heat pump dryer? The key difference is how they generate the heat to dry your clothes. 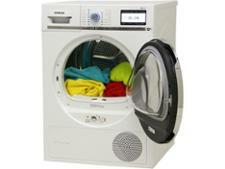 A condenser tumble dryer uses a heater element to generate heat which then dries the clothing. 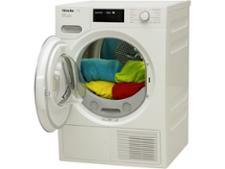 Heat pump tumble dryers use lower temperatures to dry your washing. Do heat pump tumble dryers take longer? Heat pump tumble dryers more often than not do take longer to dry clothes. It’s not unusual to see a heat-pump dryer take an extra 10 minutes per kg of clothes in comparison with a vented or condenser dryer – that’s more than an hour per load for a 7kg capacity dryer. But the best heat-pump dryers can be much quicker. Does a heat pump tumble dryer need to be plumbed in? No, because they work by re-circulating the warm air in the dryer rather than letting it escape, heat pump dryers don't need a hose. 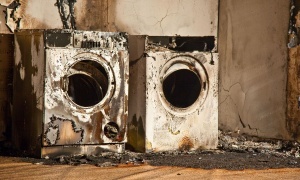 Those needing a hose are vented tumble dryers which are generally the cheapest type of tumble dryer to buy. What are the pros and cons of heat pump tumble dryers? Pros: Energy costs are half or less compared to other electric dryers. 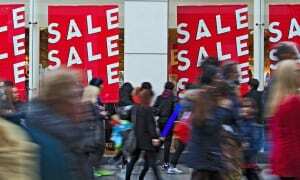 Cons: They can be expensive to buy, though prices are coming down. Heat pump dryers tend to be slower at getting clothes dry compared to non-heat pump dryers. If you’re convinced by the benefits of picking a heat pump dryer, then choose from one of the best we’ve tested. See below for five great heat pump dryers, whether you’re looking for a feature-packed machine to make laundry day a breeze or the cheapest on the market, we have the right heat pump dryer for you. This heat pump dryer isn’t just a Best Buy – it’s the highest scoring model we’ve tested in years. It has smart functionality and also impresses with its performance: it’s fast, accurate, easy to use and doesn’t leak damp air out into your home. If you’re after quick and effective drying, you can’t go wrong with this dryer. 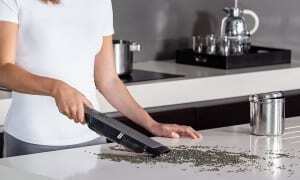 It’s also easy to use, doesn’t leave clothes too creased and you can even operate it through your smart phone. It’s the full package and a high scoring Best Buy. If you’re not put off by the high price, this is a great all-round dryer. The drying results are excellent, it’s quiet, and you might even recoup some of your investment with its A+++ energy label, making it one of the most energy efficient you can buy. This heat pump dryer impressed us with its great, quick drying and it won’t break the bank either. Add into the mix that it’s easy to use and doesn’t leave too many creases in clothes, it’s overall a great bargain Best Buy. It just misses out on our Best Buy accolade, but this dryer is still worth considering for being one of the cheapest heat pump dryers you can buy. It’s great at drying too, with particularly even results across all items in the load. It’s a pretty safe bet that almost every heat pump tumble dryer will be economical to run, but you can’t guarantee how noisy it will be, how easy it is to use, and, crucially, how well it will dry your clothes. These three heat pump dryers failed to impress in our test lab, so make sure you steer well clear. You expect a pricey tumble dryer to do its job well, but that’s not always the case with this machine. It’s painfully slow, and the drying results are hit and miss. Apart from its energy efficiency, there’s nothing to make it stand out from the crowd. Using this dryer is a deeply frustrating experience, as it takes forever to dry clothes and often they still come out damp. It also leaks damp air into the room and it’s one of the noisiest tumble dryers around. Apart from its efficiency, this heat pump dryer is a let-down in every single way. It takes a long time just to deliver sub-par results and makes a fair amount of noise doing it. It also leaves clothes creased and overall is best avoided. How much do heat pump tumble dryers cost? Heat pump tumble dryers may be an economical choice in the long run, but their upfront costs are usually much higher than your standard condenser or vented dryer. Expect to pay at least £350-£450, although prices are coming down and you could pay a little less. The priciest models with extra features and smart capabilities cost upwards from £700, with a few top of the range dryers costing £1000 or even more. However, over time you may make back your money. The average yearly running cost is around £34 per year, compared to £77 for the average condenser dryer, and the most economical will cost around £25 per year. Provided you own your tumble dryer for long enough, you could see a return on your initial investment.